But have you been paying attention to your greens?Yes, the Greens! The most important part of your diet. Let us see how many greens we can name…Spinach, Lettuce, Cabbage, Kale and yeah, Pistachio. Yes, pistachio is also one of the most important greens that you should include in your diet. They are packed with various vitamins including B1, B2, B3 and numerous minerals including Calcium, Iron and Zinc. These vitamins and minerals collectively help with maintaining good heart health. The presence of vitamin B6 makes pistachio capable of improving your immune system. Raw pistachio can be added to salads, sandwiches, cookies, cakes and maybe everything you prepare. So, go grab those amazing and divine seeds and enjoy! 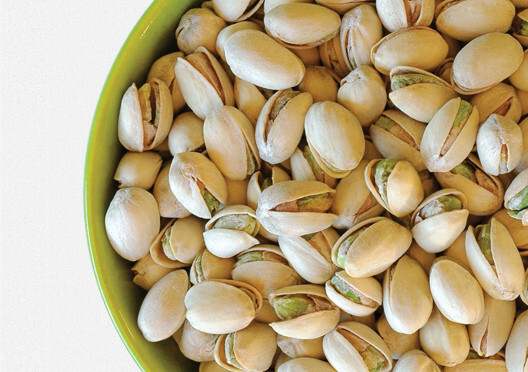 Ok, enough of praising pistachios now! Keep in mind to always have raw pistachio nuts to reap their benefits. Otherwise, if you choose those salted and tangy varieties, be prepared to face their side-effects which include increasing blood pressure and weight-gain. < Previous Knock, knock! Who’s there? Spring Allergies!